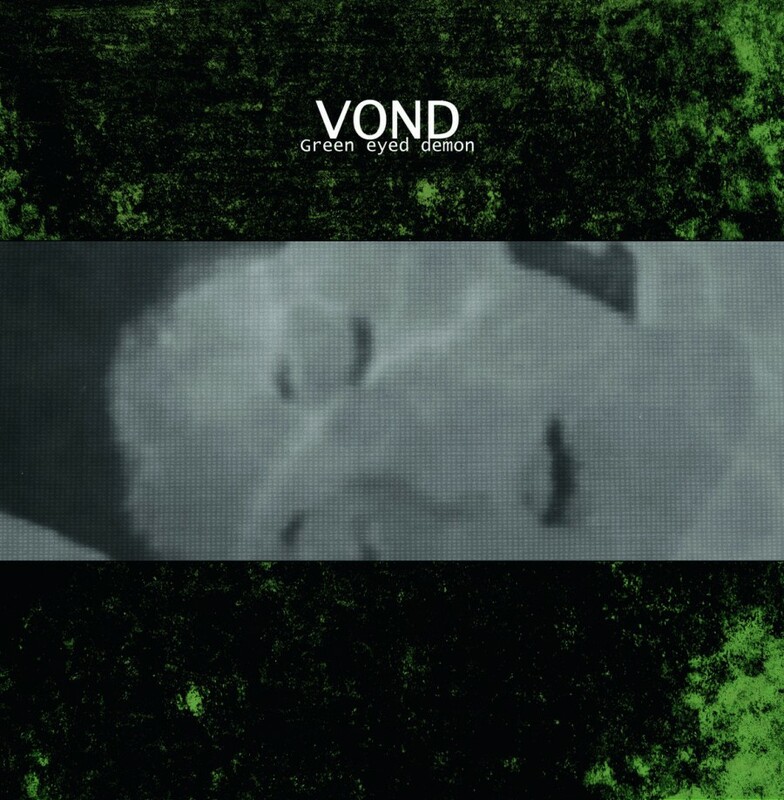 Green Eyed Demon is the third and final album by Vond, a side project of Mortiis. These three albums were created from 1994 through 1998. Green Eyed Demon was initially released on the Cybertzara label. Now, almost 20 years later, Mortiis has re-released this album through his own label, Omnipresence. Many of our readers should be very familiar with Mortiis. Several of his Era 1 albums were released through the late, legendary Cold Meat Industry, which was the launch pad for many of the forefathers of the dark ambient scene. The main project of Mortiis started as what is now called dungeon synth. He would later transition into dark wave / goth rock / goth metal or whatever other classification would best describe his varied sounds. 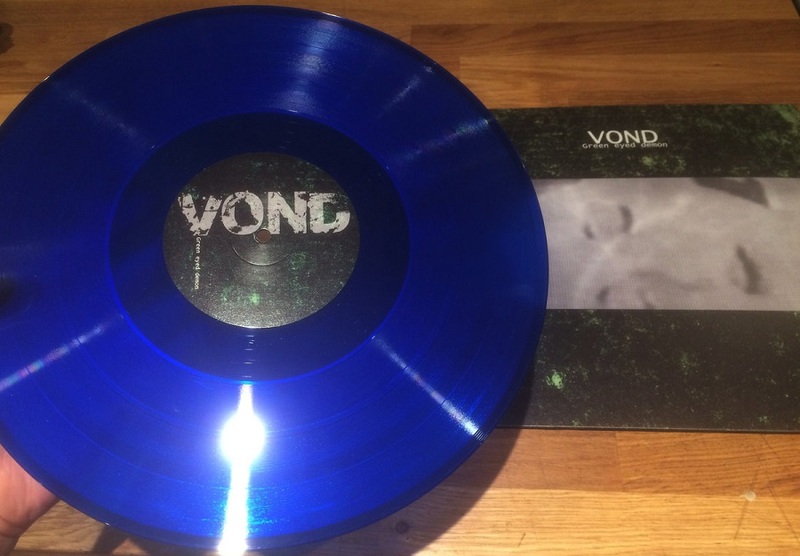 But the lesser known side-project Vond, is the one which would be best suited to fans of the dark ambient genre. Vond may not in every aspect fall perfectly into the framework of traditional dark ambient, but it is probably the closest genre to this music. The album Green Eyed Monster consists almost exclusively of the manipulation and layering of cinematic samples. Throughout the album, Vond sets the foundation for each track with a blend of dense industrial soundscapes and noises. This is industrial in the literal sense of the word, not the genre. We can hear machinery humming, the crashing and hammering of metal, steam releasing through valves. On top of this foundation Vond pieces together a plethora of samples of various cinematics. The opening track, “My Dying Day”, focuses on descriptions of the early use of the electric chair in the United States prison system. The samples of a narrator describe the procedure in minute detail. Occasionally intertwined with these samples are Gregorian chants, which add a sort of perverse beauty to the composition. All this is placed on top of a thick foundation of industrial noises, which easily brings to mind early works of raison d’être, with particular similarities to the album Within the Depths of Silence and Phormations. As both artists were on the Cold Meat Industry roster during this period, it isn’t hard to imagine that they were likely borrowing a bit of inspiration from one another. Though I should make it clear that these similarities are not nearly enough to warrant calling one or the other a follower or copycat of the other’s style. The following track, “Living Among the Remains of Dead People”, incorporates large portions of an old film, which appears to be of a documentary format, though it is actually a horror film posing as documentary footage. The story follows the demented and evil deeds of a psychopath by the name of Ezra Cobb. The narrative explains the progression of Cobb’s mental collapse from his initial attempts to cope with the death of his mother through his later acts of grave-robbing and necrophilia. Along with the narrative, Vond layers in samples of the man screaming “mother!” and other sound clips which add to the immersion for the listener. My favorite track from the album, “To the Dreamer Dead and the Dreamer Dying”, takes us closer to the sounds of Era I Mortiis than much of the other output on the Vond albums. There is much more prevalent use of the synthesizer on this track. Initially, we can hear a wind instrument, later it shifts to a sound which comes closer to a bass guitar that eventually is treated with distortion. As the track progresses the synth work moves into territory that would be very fitting on some soundtrack to a film, which is obviously a natural choice here, on an album that is full of cinematic samples. Aside from the synthesizer, Vond incorporates a variety of cinematic samples which seem to take us into some of the worst sagas of Christian history. Green Eyed Demon has been given an impressive re-release. While it doesn’t appear that there was any re-mastering done, the physical copies of this album will be a delight to the avid collector. Through Mortiis‘ web-store there is finally an official digital copy of the album. A limited edition LP is presented in several different variations, including: black, blue, testpress, and there are even some copies of the original 1997 pressing available. The album is also released for the first time on CD in an A5 digipak. For long-time fans of Mortiis, there will be nothing new here aside from the beautifully crafted re-release editions. But, for newer fans, just recently discovering his older phases and side-projects, Green Eyed Demon, as well as the other Vond albums, should be a delightful discovery. Vond definitely shows off a side of Mortiis’ talents that should be highly attractive to fans of dark ambient music. Its gritty production is a reminder of the old days of the dark ambient genre, back before everything could be done with a computer and midi controller. It’s also a reminder of the varied nature of Mortiis‘ interests. I would love to see these old albums draw enough attention to maybe get Mortiis to consider opening the vaults of Vond for one more chapter.